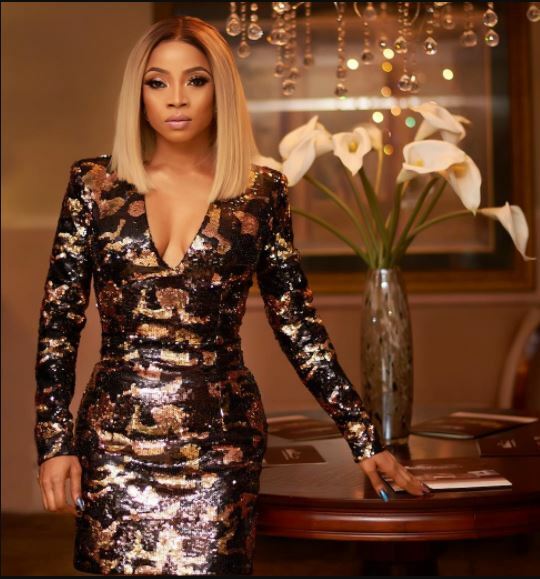 Media girl, Toke Makinwa celebrated her 33rd birthday a few days ago and the outfit she wore to her ‘Issa Baby Girl’ themed party is Balmain camouflage sequin dress that costs $3,365 approximately 1.2million naira. Not specifying whether it was a gift or personal purchase, Recall that Toke Makinwa got a Hermes Birkin and was flaunting it before her birthday party. Following the success of her memoir, the author is testing new waters with her foray into the luxury goods space.